The Assassin’s Creed video game series has spawned thousands of diehard fans. There’s always a high demand for the games and each time a new one releases, new fans are created. It’s no wonder that one of the more sought after costumes this year is based on characters from the popular series. 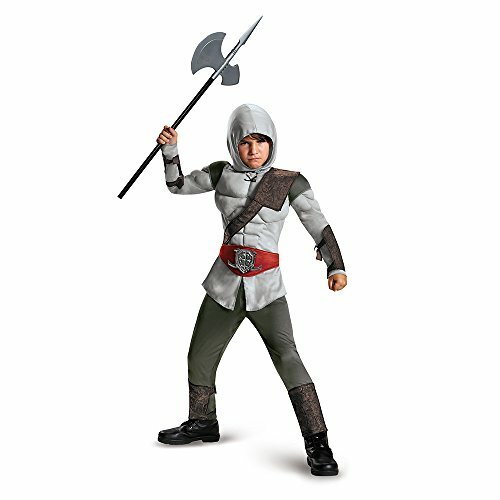 One of the popular ones is the Connor costume and you can stand strong against the Templars in one of these outfits. 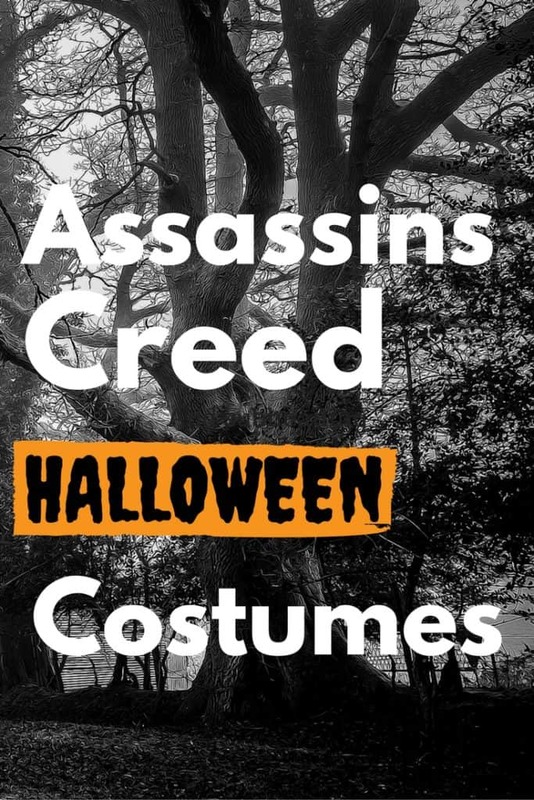 Based on the costume that’s shown in Assassin’s Creed III, some of them come with the same attention to detail. You can get the overly long jacket in white that has blue trim along the open front and a single blue stripe on the sides. In some options, some people think that the jacket is a separate piece from the shirt because of the way that it’s designed, but it isn’t. It’s usually a one piece combination of jacket with a shirt that’s attached. 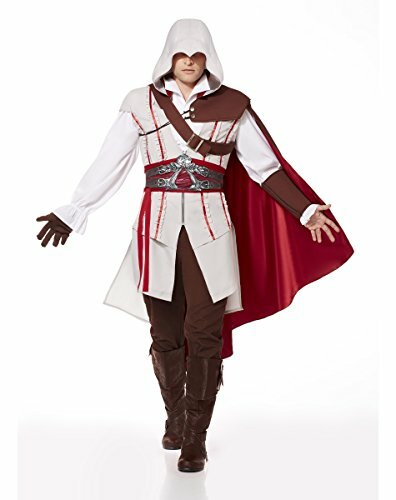 The shirts often have the iconic white hood that dips down low to cover the wearer’s face just like in the video game. The front of the jacket usually features buttons on the sides that are for decorative purposes only. The attached shirt will have a red belt across the waist that’s also attached. There can be a slim light brown harness that goes across the chest, which looks like real leather, but isn’t. The gloves sometimes come with the outfit and are fingerless. In cold weather, some people may want to substitute the fingerless gloves for whole ones. There are brown gauntlets that go up each of the arms to about elbow length on some of the costumes – depending on your size. These will have silver buckles with small chains as well as thin faux leather strips for tying. There are also chaps that might come included with the costume and fit to just above the knee. Though you’ll notice in all the advertisements that pants are often part of the costume, these are not included in some of the options. Shoes are also usually not included. Some of the costumes are intended for adults, but larger teens can fit in them if you buy the smaller size. 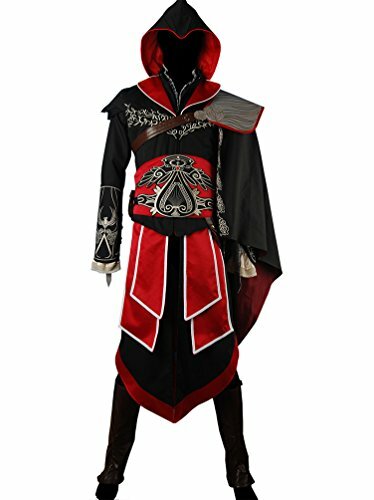 The Assassin’s Creed Unity costume is also available. 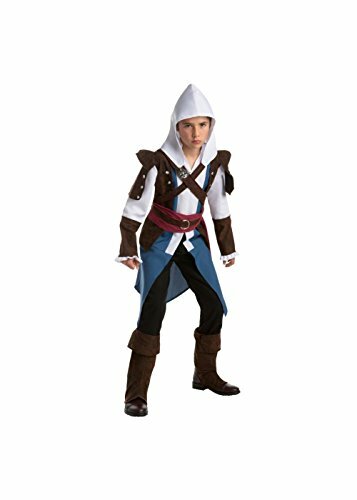 Like the Connor costume, this one also has the hood that’s famous in the game series. You’ll get the long black coat with the tails that go as far down as just above the back of the foot. The front of this coat has the decorative buttons The costume comes with red neck scarf, the belt, and the vest with the tan color outside and white inside. The topside of the vest does fold down with the wide top like worn by the character in the series. Pants aren’t included. You’ll also have to purchase the boots separately.